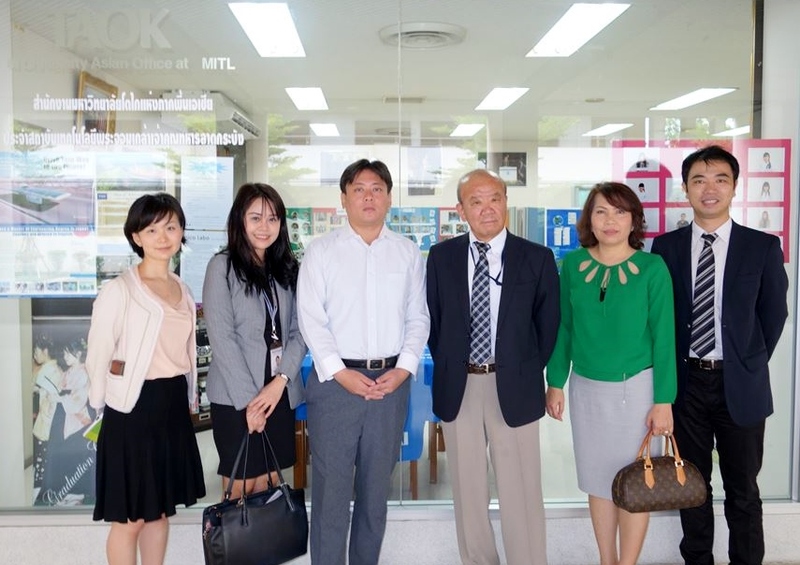 On July 4 2014, JSPS Bangkok Office held a Guidance Seminar at King Mongkut’s Institute of Technology Ladkrabang (KMITL), collaborating with three Japanese higher educational institutions, which have their branch offices inside KMITL campus; Tokai University, National Institute of Technology, and Fukuoka Institute of Technology. JSPS Bangkok Office visited their offices and these institutions also participated in the guidance seminar to introduce their activities. Firstly, JSPS Bangkok Office made a courtesy visit to Assoc. 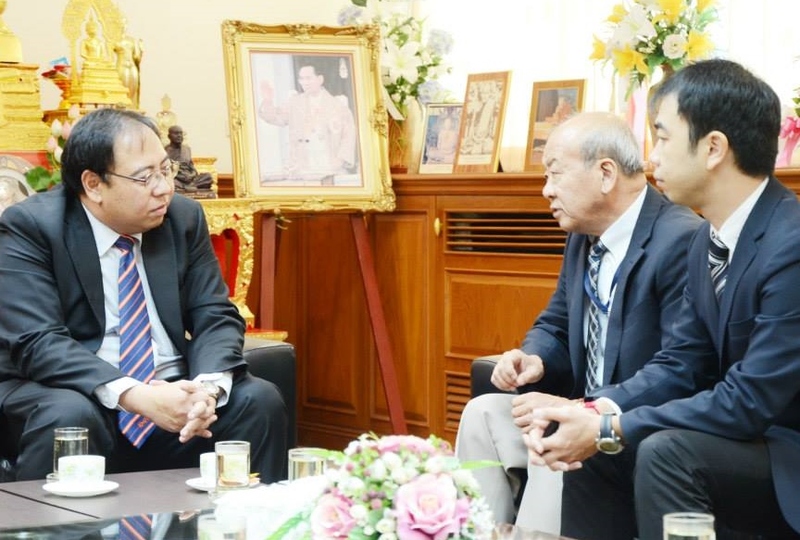 Prof. Dr. Anantawat Kunakorn, acting Vice President of KMITL and exchanged views on academic trend in Thailand. He mentioned that although Thai researchers used to seek research opportunities in US and European countries, they are now focusing onmore attention on Asian universities with the economic expansion of Asian countries. 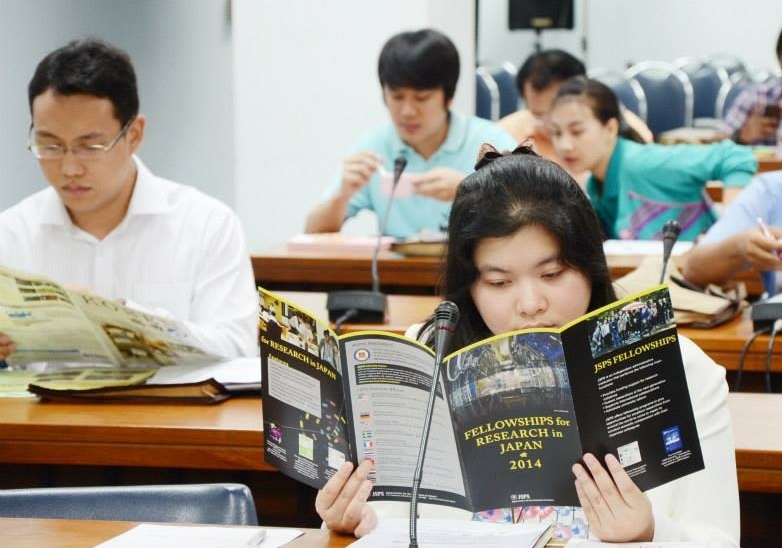 JSPS fellowship programs are also gathered their attention and the university is willing to encourage them to apply for the fellowship programs. 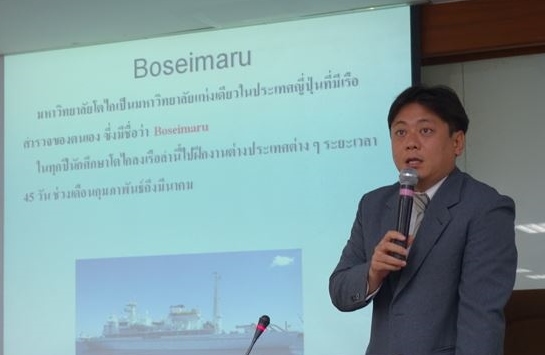 However, at the same time, Prof. Dr. Anantawat showed his concern about brain drain of Thai scientists and asked whether JSPS fellows were oblidged to conduct their research in Japan after their tenure of fellowship. 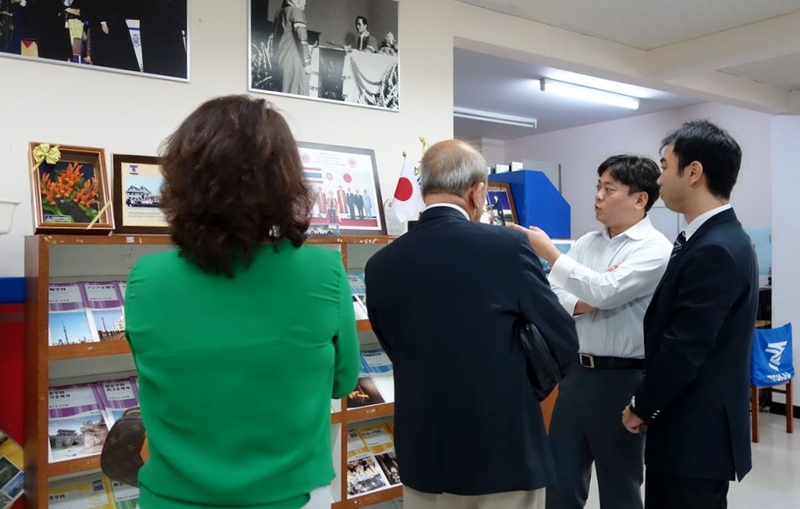 JSPS Bangkok Office answered that the fellows did not have a duty to be a member of faculty in Japanese universities and hoped that JSPS fellows made use of their experiences in Japan for their research career after they come back to their home country. Tokai University established its ASEAN Office in 2003. 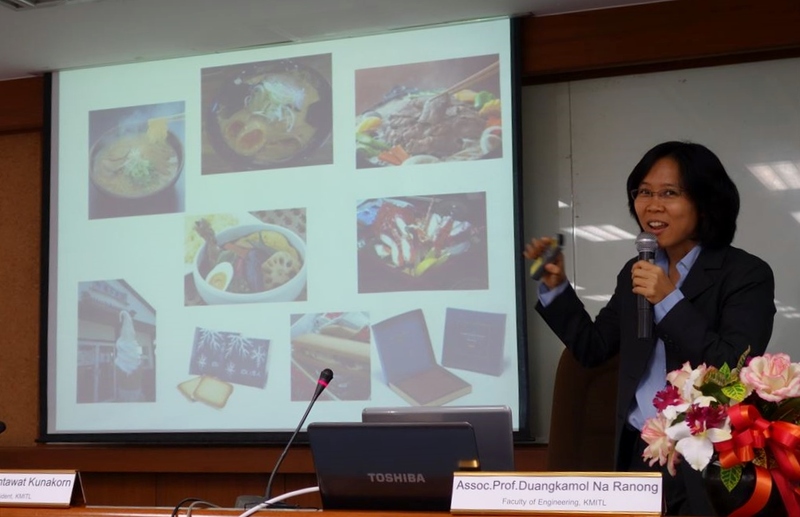 Assistant Prof. Hironaka Tomita, a liaison officer of Tokai University ASEAN Office has contributed to promote students exchanges between Thai universities and Tokai University and provides preparatory Japanse language courses for those who want to enroll in the university. Tokai university has accepted and fostered Thai students since 1954. 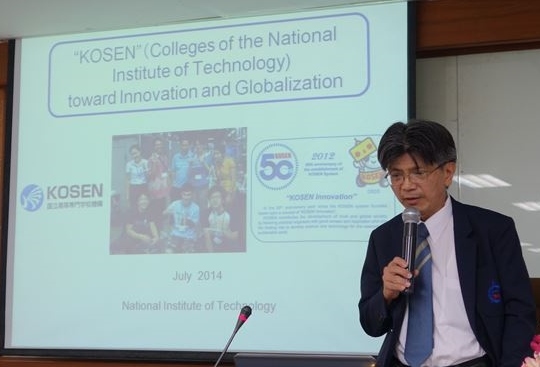 National Institute of Technology, known as “KOSEN” in Japanese, provides a laboratory to Kosen researchers who visit KMITL for their research and education. The office also displays broushures of the institutions and appeals to KMITL students to study in Kosen. 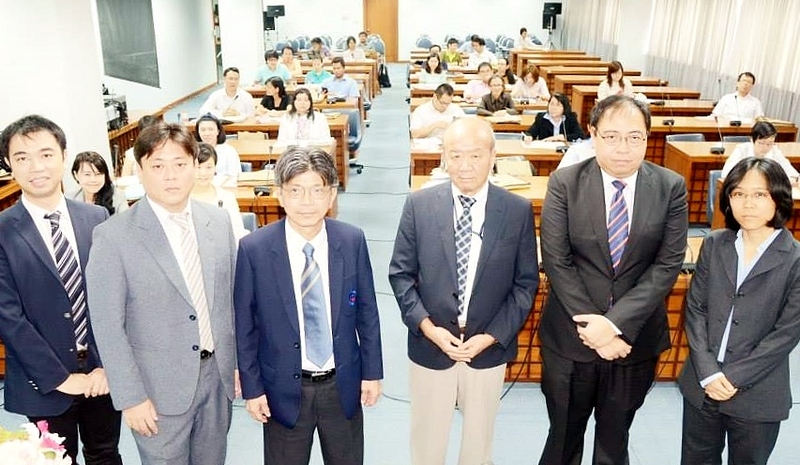 They also appoints Dr. Ruttikorn Varakulsiripunth, Dean of Faculty of Information Technology, Thai-Nichi Institute of Technology as an International Coordinator in order to promote international exchange between Thai higher educational institutions. 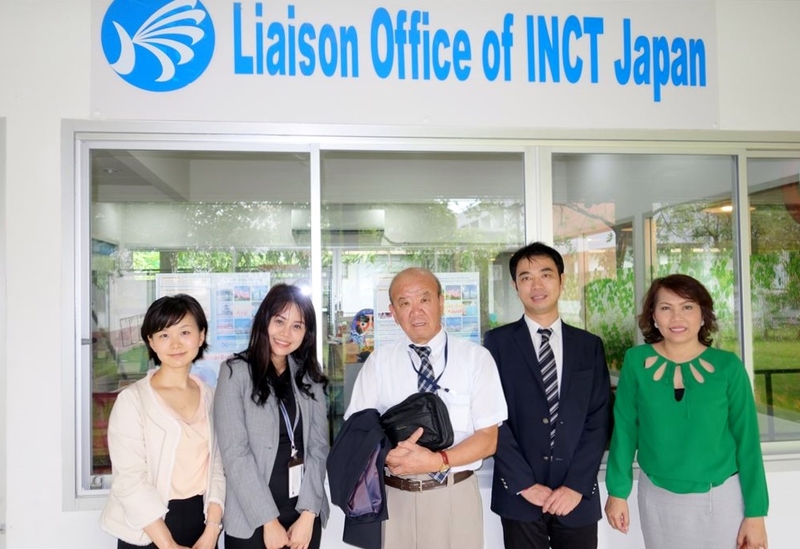 Fukuoka Institute of Technology launched Bangkok Office inside KMITL in 2011 and has offered Japanese language classes for KMITL students who plan to study in the university. Students exchange between the two institutions has been also actively conducted. JSPS guidance seminar was held with around 50 participants. 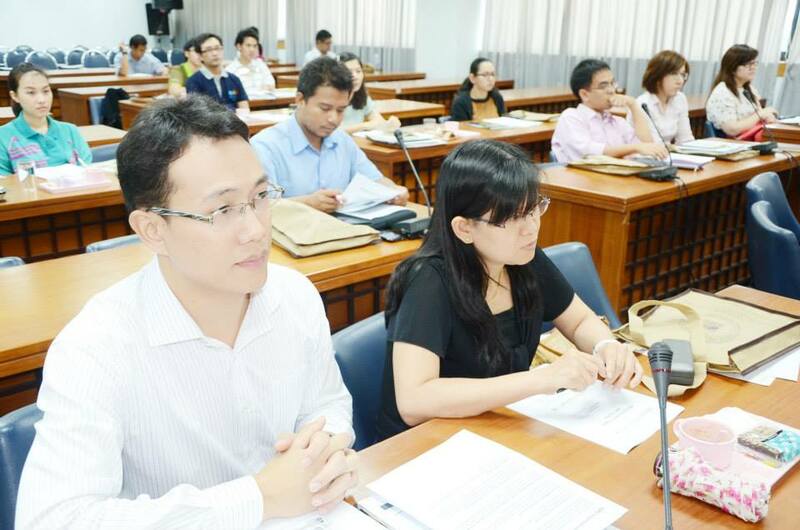 Prof. Dr. Anantawat opened the seminar. JSPS Bangkok Office explained JSPS international fellowship programs followed by a speech of Dr. Duangkamol Na Ranong, a researcher of faculty of engineering, KMITL, a former JSPS fellow. She introduced her research experience in Japan. After the introduction of JSPS programs, representatives of National Institute of Technology (KOSEN), Fukuoka Institute of Technology and Tokai University introduced their institutions respectively including information about admission procedures and scholarships. Under the collaboration with three Japanese higher educational institutions, the seminar successfully raised the interest of KMITL’s researchers with regards to the collaborative research with Japanese universities.